Ramsey Kate is officially a big girl! We made a trip to IKEA on Sunday afternoon (what else do you do on Easter when you're thousands of miles from home? 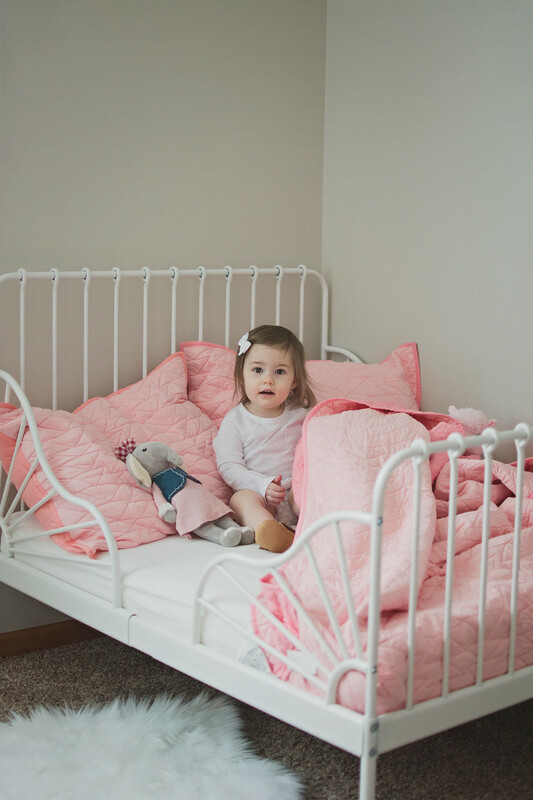 ), and we finally pulled the trigger on purchasing her first real bed. I was back and forth between this bed and another I found on Amazon (here), but I'm so happy we got this one instead. 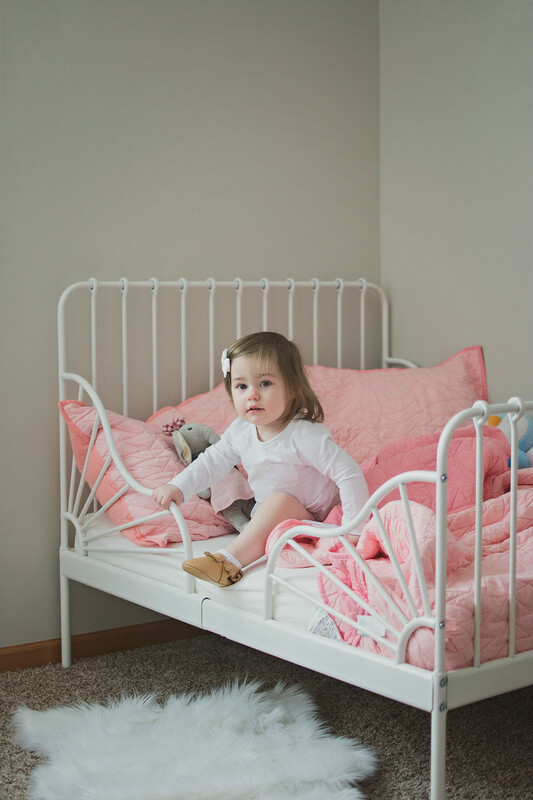 I love that the bed extends to a twin, but for now we're taking advantage of it's toddler sizing. I was nervous about the transition, but it couldn't have been more perfect. The first night she went right to sleep and slept through the night. Zach and I were SHOCKED. Nap time the next day went almost just as well- right to sleep (after a few minutes of nap time refusal cries) without ever getting out of bed and she slept for two and a half hours! The second night in her bed started out smoothly, but she woke up at 1:30 am with a superrrr wet diaper. 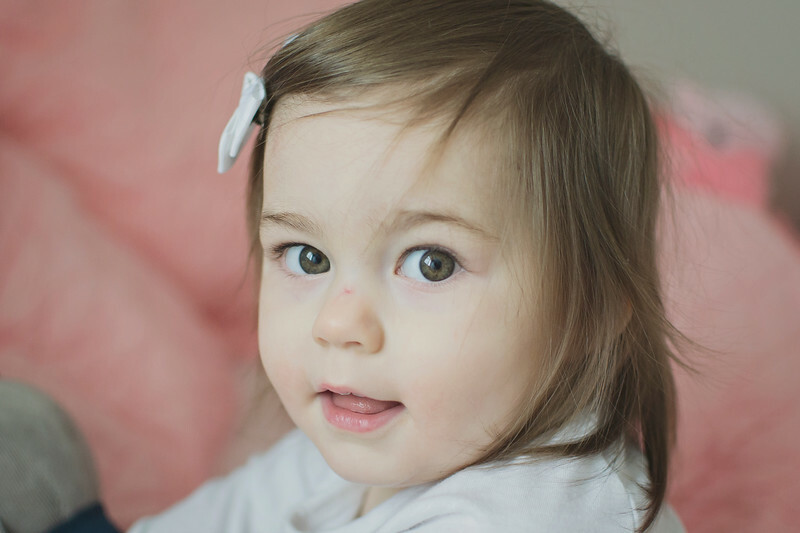 She ended up getting out of bed after a few cries, and I watched her (on the monitor) stand there just looking around. I think she was unsure what to do. By the time I got to her room she had lost it. I think it scared her that she was in her room alone and not in her bed. I changed her diaper and finally calmed her down. I ended up getting into bed with her to make her more comfortable (scared babies are so sad!! ), and we both fell asleep until morning. The third night went just as smoothly as the first, but nap time is a completely different story now- she gets out of bed after I leave, runs wild, and eventuallyyyyy crawls back into bed and passes out. She is definitely enjoying the new freedom- and I don't mind because I get a little more time to myself. Overall, I don't think the transition could've went any better. Hopefully it stays this way, but until it changes I'm not worried about it. She is so obsessed with her bed and I couldn't be more proud of her for being such a big girl! I've shared the sources below for anyone that might be interested. What a cutie! 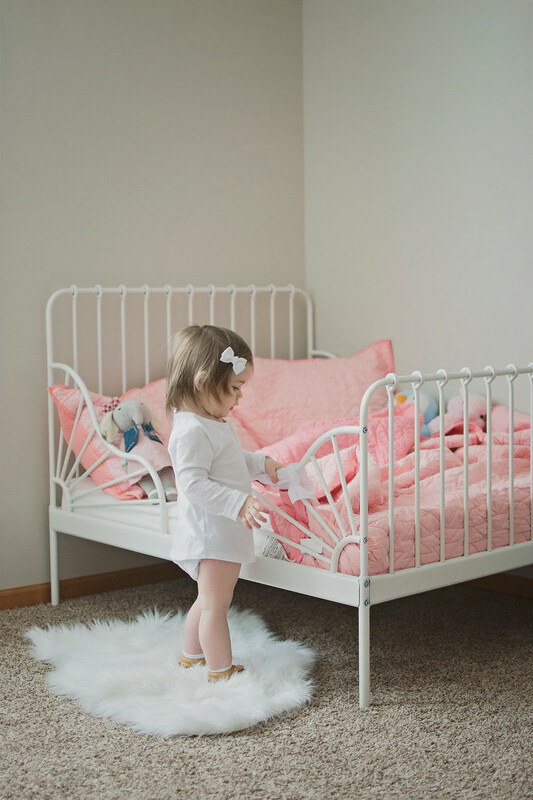 My niece also recently transitioned over to her big girl bed and it was a pretty smooth transition as she was SO excited! 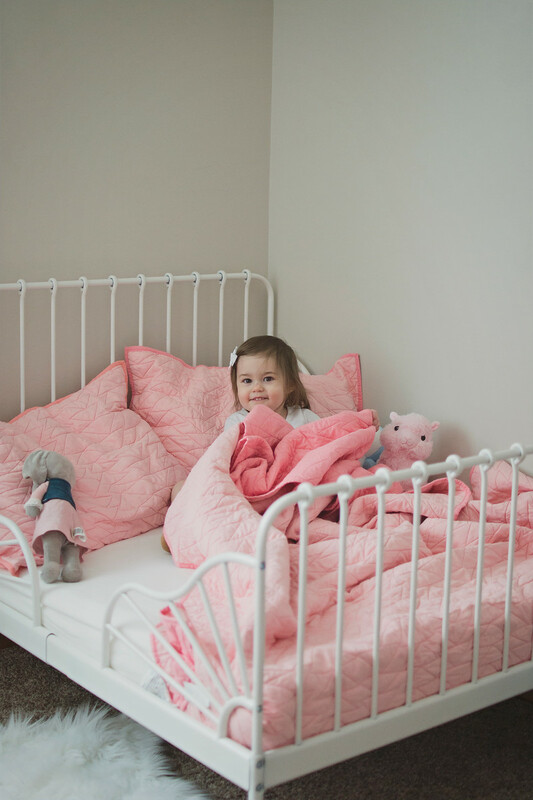 That bed is such a princess bed - luv it! She looks very happy with her new bed! I hope for your sake that the transition will continue to be a smooth one. :) PS: I love the color of that comforter! Cute bed. We just transitioned out of the crib too and I found a magenta headboard that my daughter is obsessed with so it helps to have something the kid really loves to move into. Your girl is so cute! Happy the transition went well! 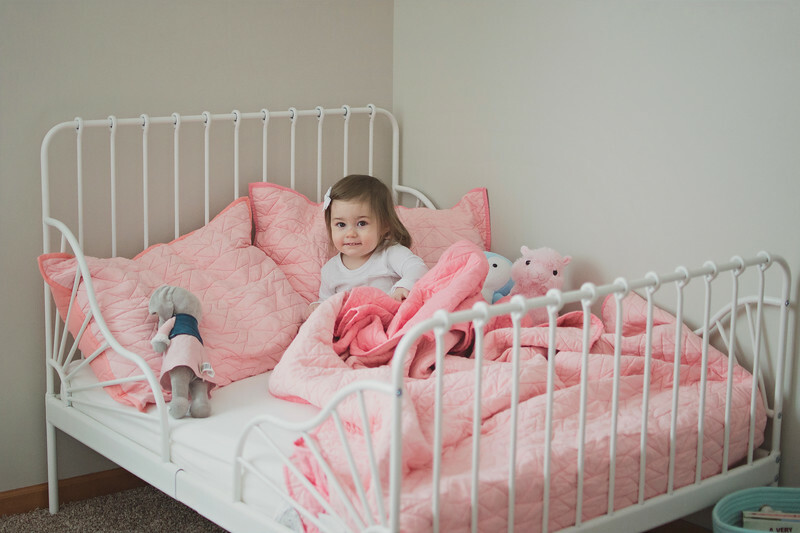 I had a bed just like that when I was little as well! For some reason I can still remember the excitement of being able to sleep in it!